As a Federation we decided that we wanted to have 3 main school values that the children could all identify with. The staff and governors talked long and hard about what the values should be, and finally came up with 3. They were Respect, Determination and Relationships. As we are church schools our values needed to be Christian based and we felt these were all qualities that Jesus had or would like us to show in ourselves and to others. We wanted a catchy title that the children would easily remember and so RaDaR was formed from the first letter of each value. Each term the children think about what the values means to them, and they complete work for it. By the end of this school year, all children will have learnt about the 3 values. They are on display in the school hall, in the school entrance and each classroom has a display of the value they are currently learning about. RESPECT – That children will value each other and have admiration for each other’s abilities, qualities, or achievements. That they will have due regard for the feelings, wishes, or rights of others. DETERMINATION – That pupils will have a desire to succeed in their learning and try their very best whatever their ability. That through pupils continued efforts I their learning they will develop a sense of achievement. RELATIONSHIPS – That pupils will value their friendships, with their fellow learners, adults at home and at school, and visitors. That pupils will treat their friends, their fellow learners, adults at home and at school, and visitor’s with care and respect. The Kites we are Flying! 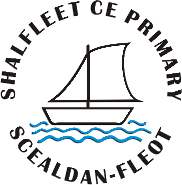 At the Federation of the Church Schools of Shalfleet and Yarmouth, we are serious about school improvement and set our sights high for the learners in our schools. We write our school improvement plan on ‘kites’ to raise aspirations for all our learners – both adults and children! Pupils have the opportunity to have their voices heard through our Junior Leadership Teams and Pupil questionnaires. The elections of the members of our Junior Leadership Teams are based on pupil votes. Our school behaviour policy involves rewards which the pupils vote on as a class group. The importance of Laws, whether they be those that govern the class, the school, or the country, are consistently reinforced throughout regular school rules, as well as when dealing with behaviour and through school Collective Worship. Pupils are taught the value and reasons behind laws, that they govern and protect us, the responsibilities that this involves and the consequences when laws are broken. The schools actively seek out visitors who would support and help reinforce this message. Within school, pupils are actively encouraged to make choices, knowing that they are in a safe and supportive environment. As schools we educate and provide boundaries for our pupils to make choices safety, through of provision of a safe environment and education to encourage independence and the ability to work with others. Pupils are encouraged to know, understand and exercise their rights within a safe manner. We encourage individual choices through challenge, the ability to know how to record in an appropriate manner and by choosing which extracurricular clubs to attend. Our Federation value of determination underpins our pupils freedom to make choices. Our whole Federation curriculum, ethos and behaviour policy are underpinned by our Christian values of Respect, Determination and Relationships. Pupils clearly understand these values and can relate how they are reflected in their everyday life and in that of others. Every classroom reflects these values. This is achieved through providing our pupils with the chance to understand that they are a small part of a culturally diverse society and within a world that is growing ever ’smaller’. We seek to provide our pupils with every opportunity to understand and respect such diversity. Discussion and learning around prejudices are part of our regular curriculum and ethos. Through the positive management of behaviour we aim to uphold the core values of our schools, enabling children to be respected and respectful, have determination to learn and to foster positive relationships with adults and children alike within the school and wider community. It is the responsibility of everyone in school to promote our nurturing ethos and to make positive choices about their behaviour, take responsibility for their own actions, and promote the development of positive self-esteem and wellbeing. The education and welfare of the whole child is vital and is central to all decisions we make. All children are equally important and we recognise each of them as individuals with different needs and abilities. We are welcome and are open to the on-going development of partnership with or communities, with outside agencies and organisations and with the global community. A school where every individuals is, included within the Christian ethos, teaching and learning, should experience Christian worship and develop links within the communities. Valuing children’s emotional development as integral to their success.